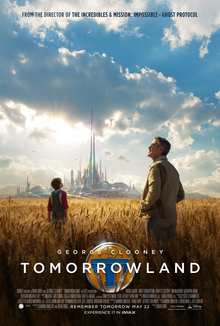 A review of "Tomorrowland"...I think! A techno-nerd production, but with girls rather than boys in the lead roles. With the feminist bases covered, Disney was free to drop the obligatory “funny Black side kick”, so brace yourself for over two hours of implicit Whiteness. Only in the end scene do we learn that other races (and males) can help save the world through the Power of Positronic Thinking.